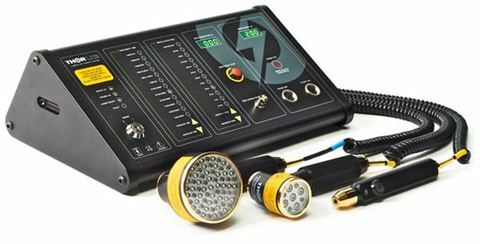 LLLT is a laser or LED light therapy that improves tissue repair (skin wounds, muscle, tendon, bone, nerves), reduces inflammation and reduces pain wherever the beam is applied. 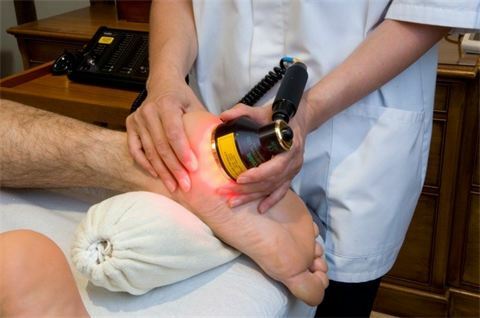 Usually applied by a doctor, therapist or technician, treatments typically take 1 - 10 minutes and should be applied two or more times a week. LLLT works predominately on a protein in mitochondria (cytochrome c oxidase) to increase ATP (Adenosine triphosphate) and reduce oxidative stress. A cascade of mitochondrial and intracellular downstream effects lead to improved tissue repair and reduced inflammation. "An excellent alternative to NSAIDs"
Click the video below to watch a quick overview of the LLLT process or feel free to contact us if you would like to book an appointment.